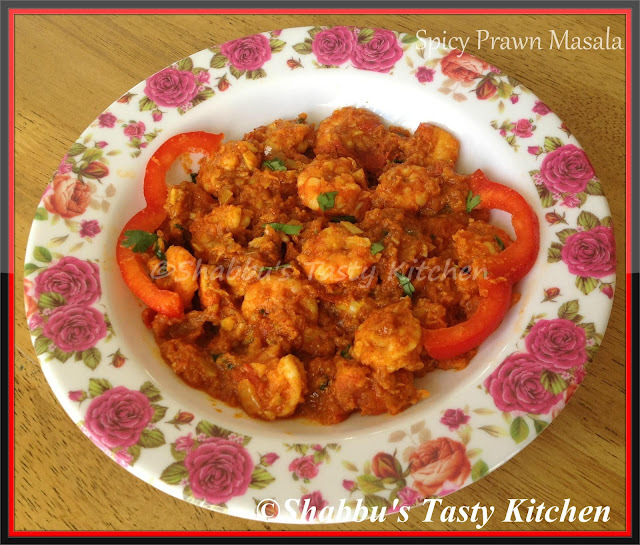 Wow that sounds super yum and spicy is the word that is attracting me more :) Thanks for linking dear!! I can have prawns anytime , anywhere.. this dish looks mouthwatering! Slurp,mouthwatering here..Love to have this masala with a bowl of rice.